Trained to be proficient in waterfowl and upland hunting. These dogs are steady to flush and shot. They are calm, quiet and have natural hunting and game finding abilities. A perfect compliment to the Sporting Lifestyle both in the field and in the home. Have a dog prepared to go anywhere. Our Adventure Dog program offers training in hiking, biking, camping, boating, kayaking and much more. These dogs are just as comfortable in the city as they are in the wilderness. All breeds are welcome for certification, but not for training. Wildrose Therapy Companions calm temperament, smaller size, scenting and training abilities make them perfect candidates for service, detection and alerting. These dogs are not only adept service dogs but can transition to the field. Dog’s coming into training must have been born at a Wildrose facility. 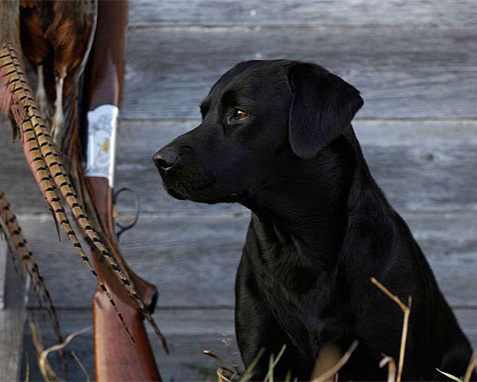 Throughout the year Wildrose conducts hands-on retriever training and handlers' workshops at the Training Facility in Oxford, Mississippi, and various locations across the country. Our unique, highly interactive workshops and demonstrations are designed to enhance the participants' abilities and relationships with their Gundogs. All breeds are welcome. Wildrose workshops and seminars have been featured in Ducks Unlimited magazine, The World of Ducks T.V. show, Benelli's American Bird Hunter, The Outdoor Network and numerous sporting publications. See "The Wildrose Way" come alive... join us at one of our workshops or demonstrations.